This is a blog. Sometimes, that's like the perfect outlet to vent a little bit. I've done it before, and I'm about to do it one more time! Virgin is a respected brand and has an excellent reputation for being cutting edge in terms of technology, comfort, and style. I personality think it's important to protect that brand, but the direct flight from Las Vegas to Gatwick doesn't make the company look good at all. The route uses very old planes that are outdated. 1. The beds are no good. Good airlines have the beds that are more like a Krafmatic. You are sitting up, press the button, and slowly go down to horizontal, but you can stop the process at any point and lay at any kind of angle you like. That way you can lay back and watch a movie, or whatever. Then if you want to lay all the way down, you just press the button and voila. The beds on these planes are a bit of a pain. You can sit up straight, or lay flat. The problem is, if you want to change positions, you have to get up, move your blankets, etc. flip the seat over, and then do all that again if you want to sit back up. There is no middle ground. It's totally flat, or totally upright, and as mentioned, you have to get up to change it any time you want to move positions. 2. The entertainment system is archaic. The last three times I've flown with them, the entertainment system didn't work at all. On this flight, mine didn't work, but the guy next to me was willing to switch seats with me. I was very thankful. They have 12 movie channels, but unlike most modern entertainment systems, there are no video games, and you can't choose when you want to watch a movie. You just have to kind of hope you catch one early enough to watch it. On top of that, of the 12 videos, only about 5 or 6 had picture quality good enough so you could actually make out what's happening. The sound didn't work on some, and there were blurry lines on all of them. Some not TOO bad so you could actually watch without hurting your eyes too bad. There is also no where to plug in your laptop. and the amount of light you get to read is very, very tiny and very limited. I found it impossible to read. 3. Food. On other flights, Luftansa specifically, the food is excellent, but I found the food on the Virgin Atlantic flight to be the worst of any I'd taken overseas. I'm a vegan, and most flights are usually very accommodating, but it didn't seem like they tried very hard, essentially taking a cabbage head and drowning it in some sweet and sour sauce. Not exactly a meal. No appetizers, no salad, no fruits for dessert. The staff was nice and I never yelled at them at all, but I pay a lot of money to fly overseas and comfort is important to me when I'm spending that kind of money. British Airways is also doing direct flights from Vegas, and I may just have to give them another chance. It's been a while since they lost my luggage, so I'm willing to forgive and forget. I never took the Virgin flight much this year because of my past experiences and gave them a chance to win me over, but it was an epic fail. Sorry Mr. Branson, those planes need to be upgraded.. and get some internet on them while you are at it! That would win me back! WSOP Final Table was just nuts this year! What crazy, crazy hands. I was sweating it big time, and thank you Joe Cada for saving me tons of money on my Phil Ivey vs. Darvin Moon side bet. Cada had me pulling my hair out the way he played Moon. I felt like Cada would be able to slowly and carefully grind Moon down, but Cada got in there guns a blazing and played right into the more inexperienced players hands by playing lots of big pots in marginal spots. Cada had so much more experience, but it seemed as though he just wasn't used to playing a guy like Moon. There were specific adjustments I thought he would make against Moon that he didn't. Moon bluffed in some strange spots, but didn't play too many hands. That's easily exploitable using an extreme version of small ball that dictates limping and min-raising from the button and absolutely NO RE-RAISING OUT OF POSITION! Especially with hands like 99 and AQ. We already know Moon is capable of going all in light, so why would we re-raise him with hands that we really need to call him with? Risk all the chips in a marginal spot? I'm so happy for Cada that he won, I'm just saying, I would have played Moon completely differently. If I got all in vs. Moon it was likely going to be with some kind of made hand vs. a bluff or an inferior hand. It certainly would not have been 99 vs QJ all in pre-flop. SCARY!!! I dodged a bullet with that bet. Phew. The ratings were great. Many sites misinterpreted the ratings and didn't report the whole story. It's true, ratings dropped from a 1.90 to a 1.82, but it's very important to note that the carried the ratings for 2.5 hours rather than 2. That's a pretty big deal. Truth is, the ratings WERE up this year about 8% over the whole tournament. The numbers don't always get reported accurately because they get rounded up or down. Last year the series got a 0.95 and this year they were up to a 1.04. Last year gets rounded up, this year rounded down. Most importantly, since 2007 the ratings are headed in the right direction, up 22%. Jeffrey Pollack did a lot of good work for Harrah's in creating a bond between players and "the suits" and it's made for a better WSOP. He will be missed. I'm currently in London for the week doing commentary for the EPT season that is set to air soon enough. I find myself doing more and more commentary and really enjoying the process. I don't mind working, it's kind of fun otherwise I wouldn't do it. What WASN'T fun was my last online poker session at PokerStars! Wow, what a bloodbath, I lost 9 buy ins in 5 hours playing $100-$200 NL Hold'em. I'd never lost that much in a session online ever. I usually just quit if I lose 20k or 40k, but before the session decided I wanted to log a longer session. I lost some creepy hands and felt like I was on the set of High Stakes Poker! I'm so streaky sometimes when it comes to luck. Really hot, or really cold. It's that time of year when I do a lot of thinking. The weather starts to get bad, I don't get as much sun... and I reflect on "life." Always, always seems to happen around this time of year and through the holidays. I start thinking, "What exactly do I want to do with my life?" What kind of goals, or areas of personal growth I want to work on. This year seems to be even more confusing then normal. Not necessarily in a bad way, I'm just not all that sure what the future holds. Poker for example. 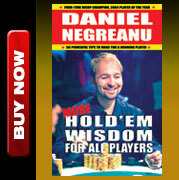 Do I want to learn how to become a better no limit hold'em player, or will I focus more on my bread and butter which are mixed games at the Bellagio? 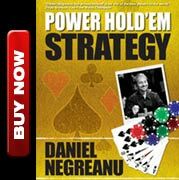 The High Stakes Poker show still haunts me for so many years, but I'm not one to quit and I'd like to learn how to play better. I lost predominately because of bad luck, but I also don't have enough experience in games like that to really be a winning player against those fields. They are so tough. Guys like Ivey, Durrr, and Patrik are just so much better than me I'm totally outclassed. it's fun to compete against them, but I'm not really equipped with enough hands under my belt to stay afloat. If I chose to get better at the game, it would take a lot of dedication, and I still haven't decided if I'm willing to make that sacrifice. Personal life. I got divorced close to two years ago and have since been pretty private about my personal life and that's not going to change. I believe society kind of dictates that it's important to get married and have a family to find happiness, but I'm not so sure. I have nothing against that, and would happily get married again if the situation was right, but I don't feel like I "have to" to be happy. I am happy, like 94.32% of the time. However, I have also been very guarded about going down that path again. I learned a lot from my first marriage, funny, a friend of mind calls the first one a "starter marriage" before you get it all figured it out! Haha, there is some truth to that. What I look for in a woman has changed dramatically from, say, five years ago. I think my priorities were a bit out of whack before, but now, I have a much better idea of what's most important to me. I genuinely believe that you have to REALLY like the person. Sounds stupid right? I mean, you have to want to spend time with them, a lot of time, and always want them around. A best friend that you are also in love with. I see other married couples that just detest spending time together. I always wonder why they even bother? When you have kids, that changes things for sure, but if you don't, why torture each other? I was really lucky in my marriage. Our divorce was not dramatic at all. It was agreeable and VERY civil. No lawyers, no kids and we remain friends to this day. She is a great person, we just weren't right for each other at all. The single ones seem to have that tag line, "Dude, I love being single man, it's the best! I can party whenever I want, date whoever I want, total freedom." It sounds really good, but I don't always believe that THEY believe that. I've been on both sides of the fence, and will say that I see pros and cons to both, but neither should dictate happiness at all. I'm a big believer in the fact that if you aren't happy single, meeting someone, no matter how great they are, isn't going to miraculously change that. I believe that you have to be happy alone before you can ever truly be a good partner for someone else. OK, no more deep thought blogs until next year, lol, I promise!